The Maxwell Museum of Anthropology is an anthropology museum located on the University of New Mexico campus in Albuquerque, New Mexico. The museum was founded in 1932 as the Museum of Anthropology of the University of New Mexico, becoming the first public museum in Albuquerque. In 1972 it was renamed the Maxwell Museum of Anthropology in honor of philanthropists Dorothy and Gilbert Maxwell. This description uses material from the Wikipedia article on Maxwell Museum of Anthropology and is licensed under the Creative Commons Attribution-ShareAlike License (view authors). 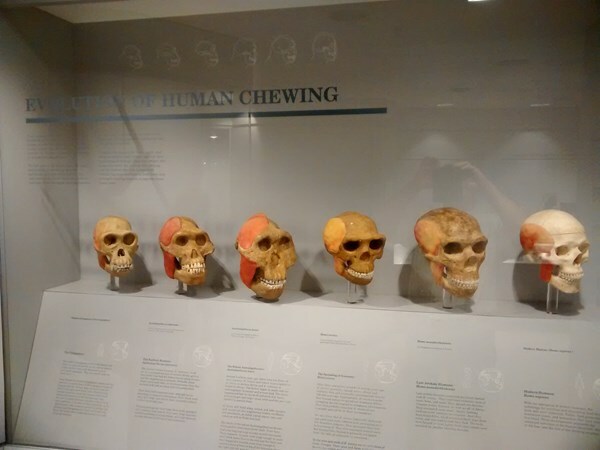 Went with 12 other folks from the Bear Canyon Senior Center and got a guided tour of the 'Ancestors of Man' exhibit. The museum is small and not necessarily my cup of tea so I won't be going back but enjoyed checking it off this list.